I updated the albums from 2014 with 290 new Hayley Atwell photos and also, I added a new event that was missed. The new season of “Agent Carter” is months away, but since we already know Peggy and the gang are headed west there’s no reason to wait when it comes to promotional materials! Especially with Comic-Con right around the corner. Hayley Atwell attends Florida Supercon at the Miami Beach Convention Center on June 27, 2015 in Miami Beach, Florida. You can go to the gallery to take a look to the photos. Please, credit hayleyatwell.org if you take them. Marvel Television has released their schedule for this year’s San Diego Comic-Con International presentations. While big brother Marvel Studios is famously ducking out of a Comic-Con presence this year, Marvel Television is picking up the slack with a healthy assortment of panels, sneak peeks, and cast appearances. When special Agent Phil Coulson is on the show floor, who needs The Avengers, anyway? You can check out Marvel Television’s full schedule below, which covers Marvel’s Agents of SHIELD, Agent Carter, Marvel Animation, and more. Which Marvel Television panel are you most excited for? Let us know in the comments! 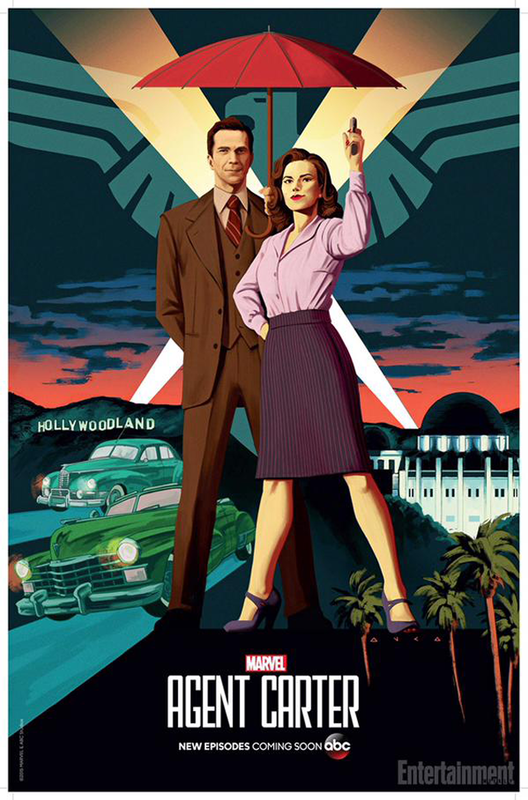 The “Captain America” spinoff TV series, “Agent Carter,” will be returning for season 2! Cast member Hayley Atwell shares details! The only updates given about the plot for the upcoming season was about the setting of the next season. Last season, the show was set in New York, and it has been confirmed by Hayley Atwell who portrays Peggy Carter in the series, that season 2 will be taking place in Los Angeles. Hayley Atwell attends the closing ceremony of the 55th Monte-Carlo Television Festival on June 18, 2015, in Monaco. She looks beautiful!! Hayley Atwell attends a photocall for the ‘Agent Carter’ TV series on June 17, 2015 in Monte-Carlo, Monaco. You can go to the gallery to take a look to the photos and enjoy!